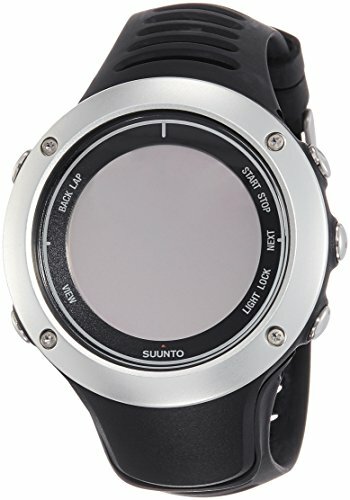 POSTS What is the Best Suunto Watch for Military? Are you after a reliable, durable, and supremely functional military watch? If so, you’ll be very interested to learn what the best Suunto watch for military uses has to offer. When you’re out on expeditions, being able to use the right watch can become incredibly useful, and even lifesaving. 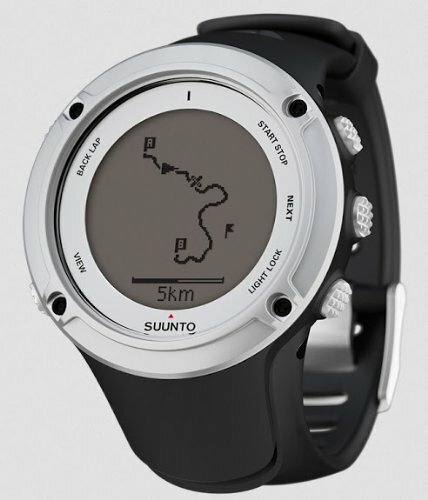 The Suunto Ambit2 is our top pick due to the number of reliable features that enhance your exploration experience. However, we’ve also reviewed the Suunto Vector and Core model too. They may be more appropriate depending on the type of trips that you’re planning on taking. All of the three watches that we’re about to take a look at below are fantastic for hunters and law enforcement, as well as those who simply love to travel. They do come with various flaws which we’ve made sure to cover. Therefore, you’ll be left with a complete rundown of whether or not any of these watches are right for you. The Ambit2 model by Suunto impressed us by how many useful features it includes for anyone who enjoys outdoor adventures. You’re able to accurately track your fitness statistics and locate your exact location with ease. The GPS and navigation features that are built-into this watch are remarkably useful when it comes to being out in the wild. There have been countless times where people struggle finding their way back when they’re out in unfamiliar places. Well, the GPS system can provide you with your exact coordinates in an instant. This is a fantastic function that could save you in times of need. Furthermore, if you know that you’re entering a new place, your navigation may be a little off. But you can rely on the Suunto Ambit2 to guide you through various routes. This can easily be done by utilizing Movescout and downloading routes onto the watch. These routes are incredibly easy to follow and can save you a lot of time walking around aimlessly. One of the benefits of exploring the outdoors is the positive impact it has on your health. If you were interested to know more about the number of calories burned, steps taken, and distance traveled, this military watch tracks all your data. The information it provides you with is incredibly accurate and insightful. You can even use the Movescout connection feature to download various workout plans too. A major downside that I’ve noticed among some military watches is that they have poor displays. As a result, it becomes difficult to read the watch in various conditions. When it comes to using this Suunto Ambit2, however, you can be sure to clearly read the display, no matter what environment you’re in. This is because it’s equipped with a backlight which becomes handy in low light conditions. Moreover, you can alter the color of the text and background to make it easier to read in bright sunlight settings. Being able to rely on a solid battery life with military watches is a must. That’s why I was glad to find that the Suunto Ambit2 can last anywhere between 16-50 hours without charging. This range is so large because the more features you are using (such as the GPS) will drain the battery more. But overall, customers have been happy with the longevity of the battery life. One glaring flaw that this Suunto watch has involves comfort. Unfortunately, many customers have voiced their concerns surrounding how uncomfortable this watch feels to wear. The strap is the main cause for this. It has been designed with an angle that’s fairly sharp and it can feel especially uncomfortable for people who have smaller wrists. The Suunto Vector is equipped with some great features that will come in handy on explorations. However, it’s the runner up to the Ambit2 since it has a couple more flaws that are more noticeable. The compass feature that comes with this watch is awesome. I liked how it allows you to change the declining level to provide you with more accurate details on where you are. As a result, it gives you a very precise reference point, which is particularly useful when it comes to being out in places that you’re not familiar with. Overall, I found the display of the Suunto Vector was very easy to read at all times. Regardless of how intense the sunlight is, customers are pleased with how easily they can read the watch face. So, if you’re out during the day, you can be sure to rely on this watch and utilize its features to your benefit. When you purchase this watch, Suunto also includes a heart-rate monitor strap. This is a great little add-on that enables you to track your fitness with supreme accuracy. Even if you’re not working out, you can wear the strap to get a good idea of what your heart rate is as you go about your day outdoors. I liked how the watch provides you with the beats per minute as they happen too. If you were interested in going swimming, you’ll be glad to know that this watch has been made with waterproof materials. It remains effectively waterproof with depths of up to 91 meters. This allows you to use the watch in versatile situations. The most notable pitfall that I came across with this watch centers around the alarm. Customers have been consistently mentioning how the sound of the alarm is too quiet. So, if you needed to be up early, I recommend using another device for a more reliable alarm. It’s likely this one won’t wake you up on time! Initially, the interface of this watch appears to be pretty complicated. This is because of the way that they’ve designed the navigation features and various modes. Therefore, it may take you some time to fully get used to the watch. So, it may be a good idea to purchase it ahead of any trips. It will give you the time to become accustomed to how to access the different modes and features. One of the main reasons why the Suunto Core is the third choice in our review is because it lacks GPS features. Having said that, it’s reliable and easy to use. Therefore, it would be a great option for more casual adventurer. The predictive-storm feature that comes with this watch is incredible. Suunto’s Core military watch uses the built-in barometer to help predict storms. What’s even more impressive is that it can notify you of storms two hours before they arrive in your location. They call this feature the intelligent storm alarm. It works by picking up on a sudden decrease of air pressure over a period of a few hours. This is especially useful for people hiking in the mountains. It gives you warnings ahead of time so that you can focus on finding or building a shelter for when the storm arrives. The Suunto Core can be used underwater too. It has been manufactured with waterproof materials which provide you with a peace of mind in knowing that it’s versatile. It can remain resistant to damage from water for up to 30 meters. I was glad to find that the display was incredibly easy to read, no matter what lighting conditions you’re in. You can be sure to rely on the watch at all times, night or day. Furthermore, I found the battery life to be impressive too. This also provides you with more reliability, which is crucial when you’re out on expeditions. You know that the battery life isn’t going to die when you’re out in the middle of a completely new environment. The lack of GPS features may be a real downside for some people. If you needed a watch that provides you with GPS functions, the Ambit2 and Vector models would be more suitable. Having said that, if you don’t use GPS systems to help you navigate, this may not be as big of a flaw. Now that you know more about what each of these Suunto watches has to offer, you’ll have a better idea of which one would suit you like the best watch for basic training. 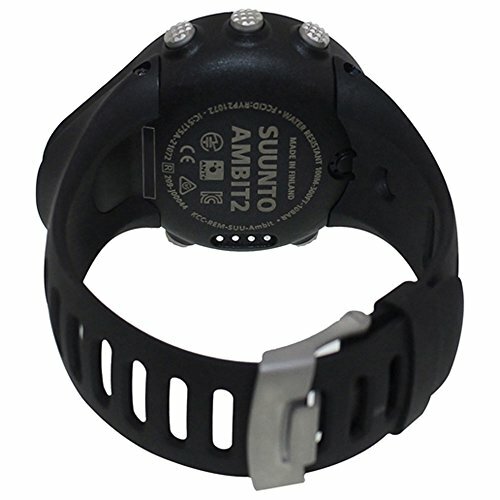 I recommend the Ambit2 as the best Suunto watch for military uses. It has the highest number of useful features that you can rely on it all conditions. The only negative side is that it may feel uncomfortable for some. 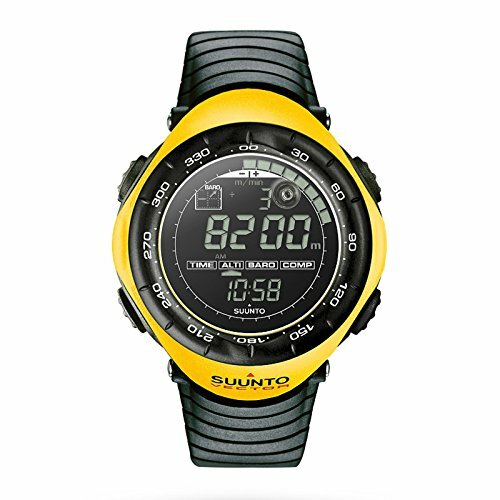 The Suunto Vector is another great choice. 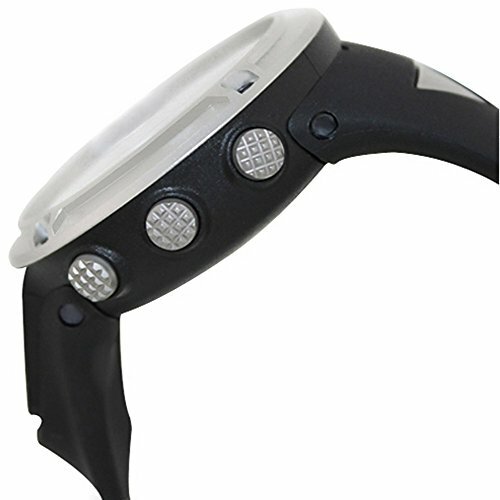 It has a precise compass, easy-to-read display, and waterproof materials. However, the configuration can be tricky and will take some getting used to. We included the Suunto Core as the third option. We were impressed with the storm-predictive feature, as well as the battery life, display, and water-resistant benefits. Although, the GPS may be a major let down for people who were hoping to use it on explorations. 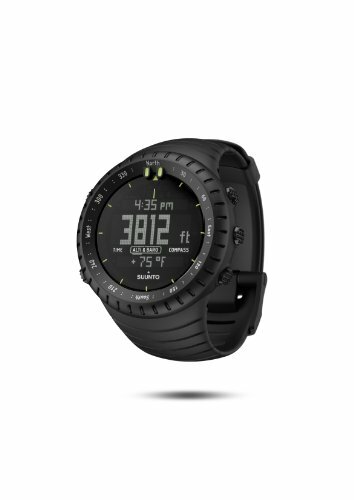 If you’re interested in using watches specifically for kayaking, take a look at our detailed review on the best Garmin watch for kayaking.